My last Stash Note was on the 11th December which is quite a while ago and in the meantime rather a lot of new gorgeous stash has built up I'd like to start sharing with you but first a few news. 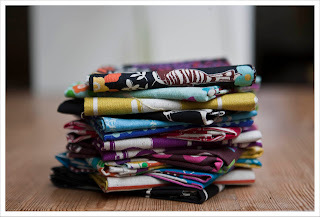 Firstly on Sunday I will have a post over at Fat Quarterly (Yes me !!) and I am rather overexcited about it. Please, please have a look over there on Sunday and let me know what you think about my project. 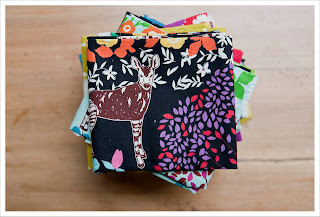 Then the other day I had a look at the Modern Quilt Guilt blog to check out their "100 days of Quilts" they are featuring at the moment. 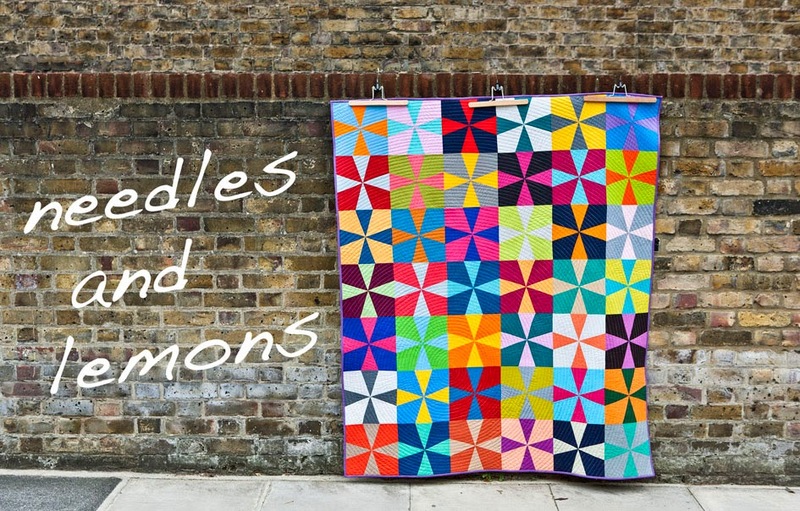 This week is all about shapes and there are some seriously fantastic quilts to be seen. Whilst there I spotted on the side bar that apparently London now also has a Modern Quilt Guilt. That got me also rather overexcited again as I have been looking for a MQG in London for a while. So I hopped over and found out that it is being organised right this very moment by Annie Barker of the Village Harberdashery who incidentally is also in the progress of opening her online fabric store. And guess what she is going to stock soon ????? It is the new and most gorgeous and I believe so far best Melody Miller collection 'Ruby Star Shining'. 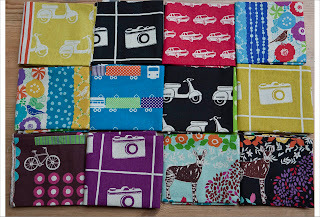 My fat quarter set has already arrived two days ago and I will photograph it propperly for the next stash note. The London MQG can be found here and if you are in London or nearby and interested in joining then leave Annie a comment on the London MQG blog. And thirdly Annie also informed me that a new quilt magazine called "Modern Quilting" is being launched at the end of February by the people behind 'Sew Hep' . It is going to be a print magazine. And after all that excitement to the stash note which is no less exciting. I finally after a lot dithering ordered myself from the Eternal Maker a selection of Echino fabrics. 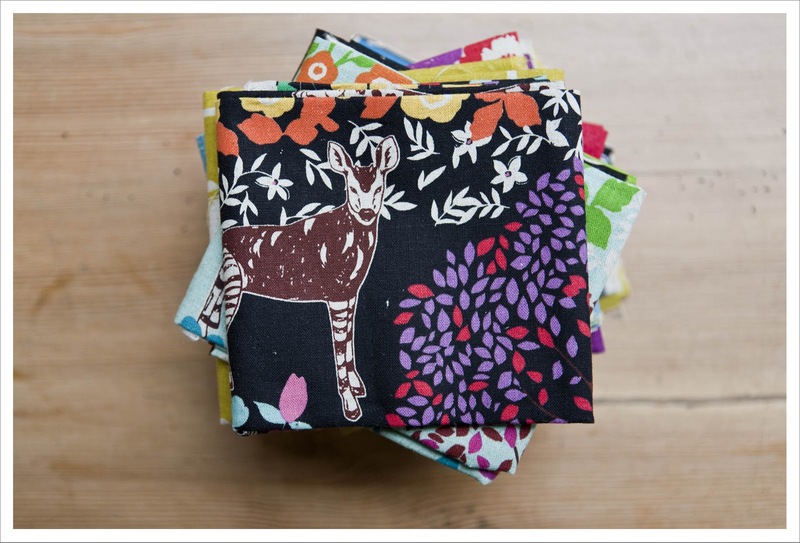 I have always admired the fabric but for some reason held back on it but after browsing the excellent selection at the Eternal Maker once again I hit the buy button and got myself a selection of the last couple of Etsuko Furuya collections. Oh it's gorgeous stuff. Aren't the scooters and camera print just wonderful ? 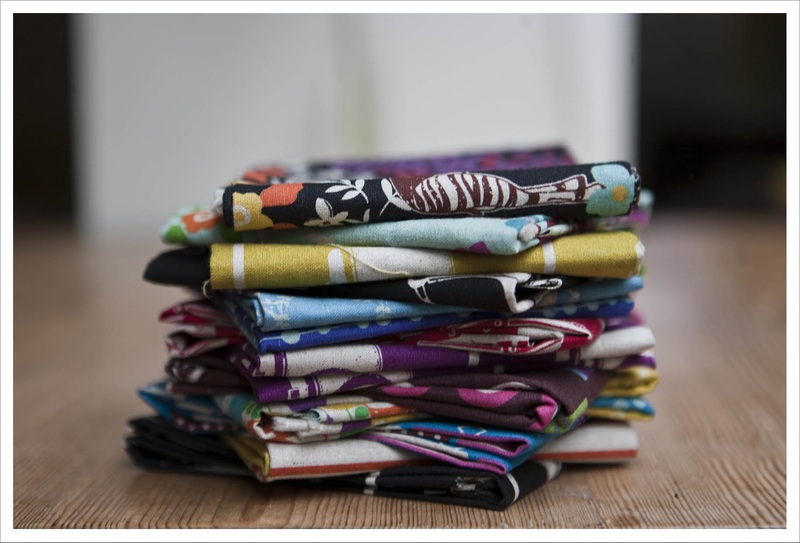 I'm so jealous of both your beautiful Echino stash as well as your London MQG. Too bad Edinburgh is a bit too far from London. I wish I was nearer London - the MQG sounds fabulous! Looking forward to seein what you're up to on Sunday!